Sara was elected in the November 2018 general election. Sara has lived in Los Alamos for 30 years - raising children, working at Los Alamos National Laboratory (LANL), and volunteering. She values Los Alamos County’s recreational, cultural, and educational opportunities. She also values communication, diversity and transparency in government; her campaign focused on engagement with the community – through knocking on doors, participating in meetings of community organizations, meeting with county staff, and attending local events. These interactions, as well as those during her Council tenure, will help inform her actions on the County Council. Sara is retired from a 24-year career at LANL and works as private consultant. At LANL she contributed to a broad range of initiatives through technical and leadership positions in the areas of nuclear energy, nuclear nonproliferation, national security, strategic program development, R&D management, facility development, international engagement and promotion of effective collaborations across multiple disciplines and organizations. She gained leadership experience as a scientist, Division Leader, and Program Director at LANL; responsibilities included budgets of >100M$/year, >400 staff, diverse facility operations, and constructive engagement with federal program leaders. Sara received her PhD in Inorganic Chemistry from Iowa State and was a National Science Foundation-NATO Postdoctoral Fellow at the Max-Plank-Institut für Kohlenforschung, Mülheim an der Ruhr, Germany, where she focused on developing new routes to intermetallic hydrogen storage materials. Pete Sheehey was re-elected to the Council for a second term in the November 2016 general election. Pete Sheehey has lived and worked in Los Alamos since 1986. Pete comes from a California working class family that placed great importance on getting a good education. He earned a scholarship to go to college at UC Santa Cruz, served as a computer technician in the US Air Force from 1976 to 1979, worked as a field engineer, and then went back to school to become a scientist. After finishing a PhD in Physics at UCLA, he worked as a computational physicist at Los Alamos National Laboratory on controlled fusion nuclear energy and nuclear weapons safety and reliability. He retired in April 2012 from the Lab. His interests include renewable energy, preservation of the environment, and music. He is an avid runner, hiker, and a long-time member of the Los Alamos Mountaineers Club (lamountaineers.org). Pete has been active in political and community affairs. He has worked since the 1990's with the Los Alamos Committee on Arms Control and International Security (www.lacacis.org), a bi-partisan group that studies arms control and advocates for sound treaties and policies that increase our national security. He served on the Los Alamos County Planning and Zoning Commission from 2008 to 2012, also serving for several years on the P&Z Board of Adjustment. At the 2012 Redistricting Special Session of the New Mexico Legislature, Pete worked successfully with Los Alamos County Councilors, State Representatives, and others to keep Los Alamos County in a single legislative district. He has also advocated for other issues at the New Mexico Roundhouse and the US Congress. The main effort of his campaign for County Council in 2012 was to knock on thousands of people’s doors in Los Alamos and White Rock, introduce himself, and ask what are their concerns about their county government. They told him they are concerned about aggressive spending being done by the county, when the Lab's budget, the main source of the county's income, is being cut. At the same time, they want us to go ahead with needed investments in education, infrastructure, and economic development: things that will help make this town more inviting to everyone, from students and single people, to families with children, to retirees. Having played all of those roles in his time here, Pete aims to help find a balance between these concerns. People are in pretty good agreement on priorities: public safety, infrastructure, education, and economic development, followed by improving our recreational amenities. Pete is focused on communication to build consensus, prioritization, fiscal responsibility, and sustainability. If we focus on these things, we will be able to afford all of the important things for our community, even in challenging times. Antonio was elected to the County Council in the November 2016 general election. He was born and raised in Los Alamos and is a graduate of Los Alamos High School. He attended college at Northern Arizona University and Evergreen State College before returning to Los Alamos and starting a landscaping business (Ecolutions, LLC) in 2007. Ecolutions LLC specializes in permaculture-based landscape design, rainwater management, and lush xeric landscapes. As a small business owner and community volunteer, Antonio is known for his “guerrilla” garden, providing vegetables to the neighborhood and passersby, local landscapes such as those featured at the Bathtub Row Brewing Cooperative, and tending of the County’s newest Little Free Library. Antonio is a passionate supporter of broad access to public transportation and affordable housing, maintaining open and green spaces, and creating a vibrant and diverse community. He lives in a historical Lustron house in Los Alamos with his four cats. James was elected to the County Council in the November 2018 general election. He came to Los Alamos roughly 30 years ago when he was born at Los Alamos Medical Center, and is the third generation of his family to call Los Alamos home. After graduating from Los Alamos High School, James packed his bags and tried a life in Los Angeles. Soon realizing it was not the life for him; James returned to Los Alamos and attended classes at the University of New Mexico – Los Alamos (UNM-LA). While attending classes, James would go on to serve as a member on the Student Government and as president of the local Phi Theta Kappa Honor Society. 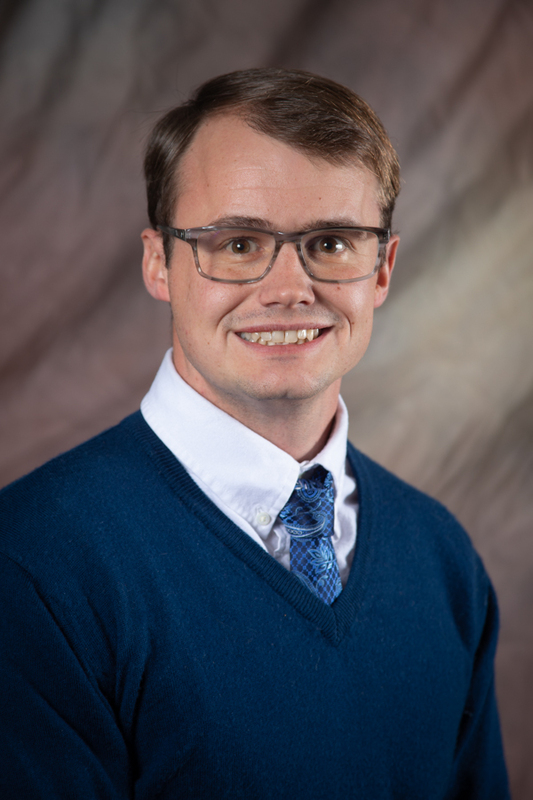 In 2009, James began his career at Los Alamos National Laboratory as a Student Intern for the Construction Estimating group. Then, in 2011, he graduated from UNM-LA with an Associates of Arts and Science in Pre-Business Administration. He would then move down to Albuquerque to continue his education, however, still working at LANL part time. In 2012, James, along with others, would form Land of Enchantment Wildlife Foundation to assist wildlife rehabilitators in New Mexico. James would serve as chair of LEWF for the next 6 years. In 2013, James graduated from the Anderson School of Business with a Bachelor of Business in Operations Management. Upon graduation, James returned to Los Alamos and became a full time employee at LANL. Looking to give back to his community, James ran for the UNM-LA Advisory Board, assisted in the passage of the UNM-LA Mil Levy, and supported the Recreation Bond. In 2015, the County Council appointed James to the Environmental Sustainability Board (ESB). He would continue to serve on the ESB until his election to the County Council. A passionate supporter of wildlife and nature, James championed mitigation efforts to help make Los Alamos a bear-friendly community. Through these efforts, Land of Enchantment Wildlife Foundation collaborated with the Pajarito Environmental Education Center to bring the first Bear Festival to New Mexico. As a member of the Council, James hopes to work on housing, aging infrastructure, environmental sustainability, and tourism and recreation. Randall was elected to the County Council in the November 2018 general election. Randall has lived in Los Alamos since 1992. He came to start a small business, Neptune and Company, with four other scientists. In addition to helping lead a successful small business and raising a family in Los Alamos, Randall has volunteered for community organizations such as the Pajarito Environmental Education Center Board and the Los Alamos County District Science Fair committee. He was a Los Alamos County Transportation Board member from 2012-2016 (Chair from 2014-2016). Randall earned a bachelor's degree in biology from University of California Los Angeles and a Ph.D. in biology from University of California San Diego. Before retiring from Neptune and Company in 2018, he worked on basic and applied environmental problems, including ecological and human health risk assessments for the Los Alamos National Laboratory, the Hanford Site, and other clients. He enjoyed campaigning as a first-time candidate, particularly meeting voters while knocking on doors, and is committed to getting and using community input to help make decisions while on the Council. Katrina Schmidt was appointed by the Council to the vacancy created on 12/31/18 when then-Councilor Christine Chandler resigned after being elected as State of New Mexico's House Representative for District 43. She was appointed at the Jan. 29, 2019 Council meeting.